Digital retouching is often part of photo enhancing and perfecting process. 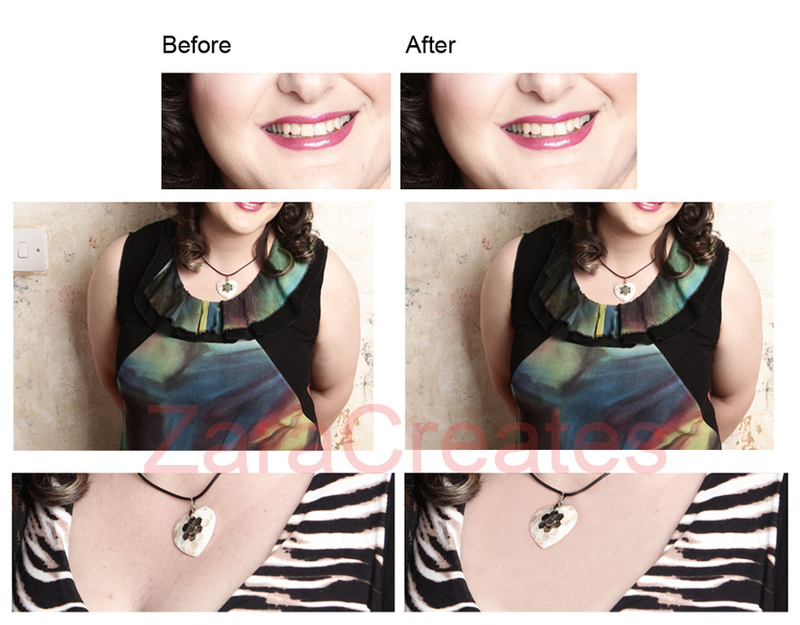 Double chins and unwanted red pimples/zits can me erased with ease, colours of objects can be changed, things can be added or removed from photographs. Please click on the image to enlarge and use Back arrow of your browser to go back.